Some things that have happened over the past few weeks (in no particular order) . 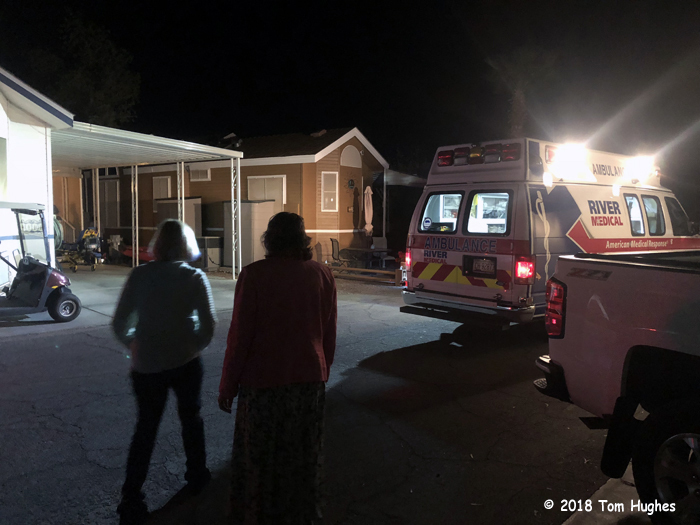 . .
About a week ago as we were watching TV, we saw flashing red lights across the street from us. We went outside and discovered that a friend of ours had taken a hard fall. At our ages that could be serious (said the guy who fell out of his RV front door and sprained his leg). She was taken to the local emergency room. Luckily, just a couple of scrapes — nothing serious. When we’re on the road, we rely on a USB modem and router for accessing the Internet. Our cellular data carrier, Verizon, informed me that my current USB modem (which I bought in 2012) was now obsolete. Great. So I had to upgrade to a newer USB modem, the 730L. However, when I plugged my new 730L in our MBR95 router, nothing happened. No Internet connection. Nada. Found out that my MBR95 router does not support the 720L. Double great. 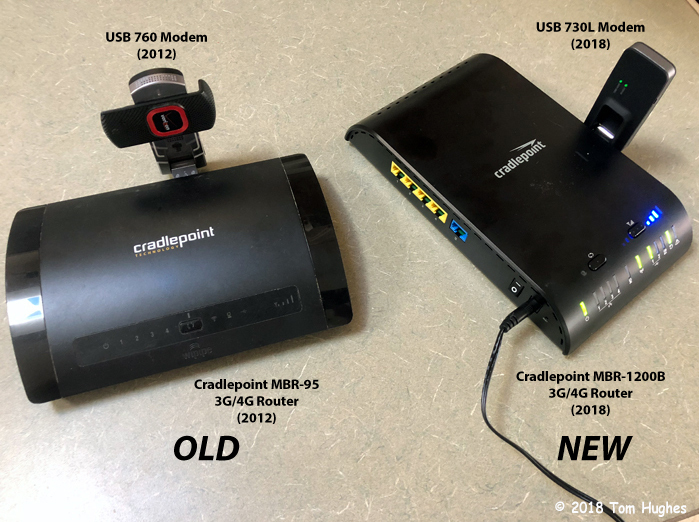 I like Cradlepoint equipment, so after a little research found out that there was another Cradlepoint router (MBR1200B) that works with the 730L. However, once again, when I plugged in my new 730L modem into the new MBR1200B, nothing happened. Grrrrr. After a call to Cradlepoint technical support (great guys, BTW), I was informed that I had to upgrade my MBR1200B’s software. Did that. It all works now. So much for simplicity. Whenever our California neighbor next door arrives, they usually bring their dog Ollie, an Australian Shepherd, and the two love playing with each other . 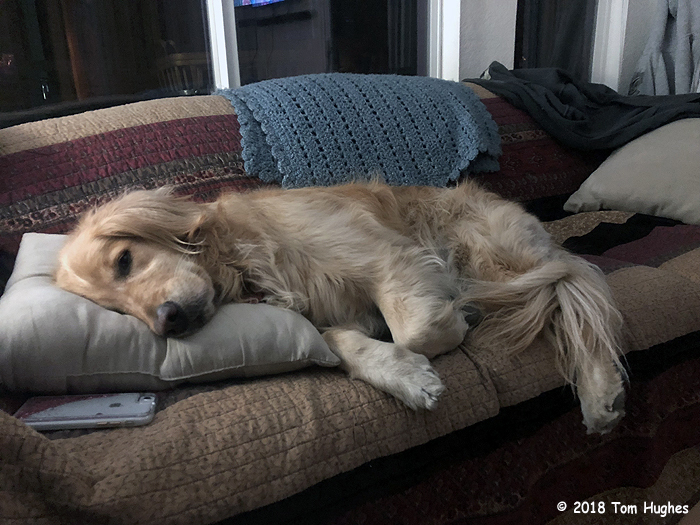 . .
After a day of play, Flirt hits the sheets . . .
. . . but not before catching up on wildlife TV . . .
Wow.. that’s a lot of stuff happenin’! That whole need new modem.. then ahhh.. ‘need new router… sounds like a shell game scam. I know.. it’s probably all legit.. but..
Love the exhausting doggie play video.. and then.. the video of Flirt totally grooving on the Nature program.. too funny! Glad your neighbor is doing ok after the fall. Here in Mesa we see the “meat wagon” daily it seems. Usually it’s like your neighbor but every once and a while sad to say it’s terminal…I guess it’s our age & community. Not be dog owners, when Flirt & friend get done playing do you find a lot of loose fur floating about? I hate that when life happens!! !